Home Application Status ICICI Bank Home Loan Application Status – How to Check? ICICI Bank Home Loan Application Status – In this world of expenses, it has become excruciating to buy a house. Why wait when you can quickly get a loan from ICICI bank at reasonable interest rates. Home loans are quite popular, and one can not deny when he/she is getting the application status check at such easy steps. 1) How to Check ICICI Bank Home Loan Application Status Online? 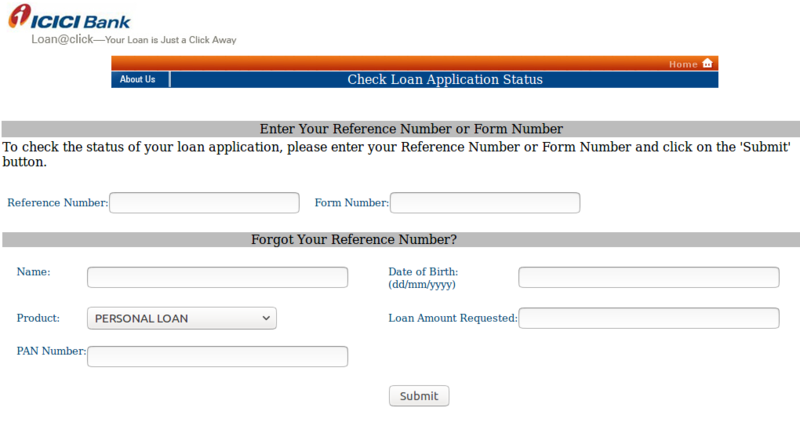 Step 3 – Click on “SUBMIT” to know the ICICI Bank Home loan application status. 2) How to Check ICICI Bank Home Loan Application Status Offline? An individual can check his/her loan application status by calling on 1800 200 3344 given on official bank website for any financial queries. One can also directly arrange the meeting with the official in the bank to know the status of his/her Home loan application.